Design is fashion is theatre is design. School’s out for summer. It’s hard not to run Alice Cooper on repeat in my brain. Another semester down of teaching aspiring college minds my love of design. Theatre design. Production design. Graphic design. Art design. Design design. 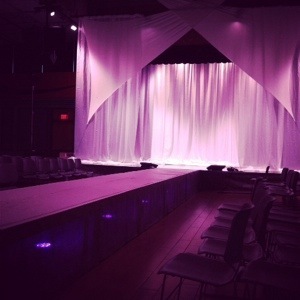 I also had a guest spot in helping another college roll out their end of semester celebrations with designing the set for Runway 7.0. A production to showcase the culmination of a new fashion department on campus and the work of its students. Chrysalis and re-birth, friends.